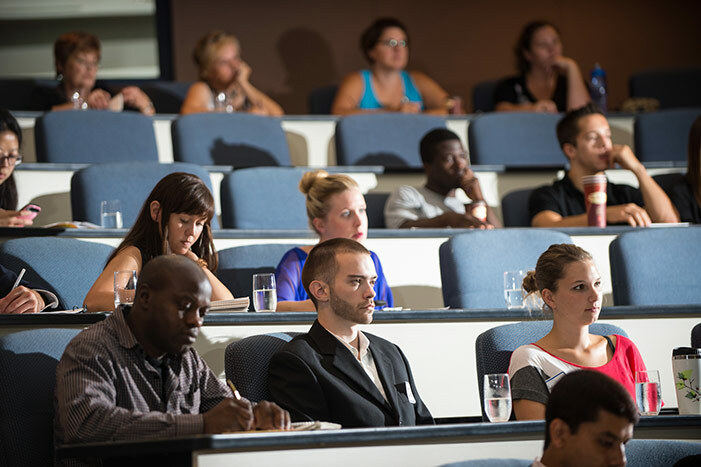 The University of New Brunswick’s Business Administration Undergraduate Society is hosting the fourth annual Canadian Business Schools Conference on UNB’s Fredericton campus from June 14 to 17. The conference, organized by the Canadian Association of Business Students, is bringing together business society presidents from 32 universities across Canada for a weekend of learning and networking. Business case co-captains from this year’s Jeux du Commerce, Eastern Canada’s largest academic competition, will also be attending the conference for select sessions. “We wanted to host the conference in Fredericton not only to show off our campus, but to show the rest of Canada just how entrepreneurial and thriving our city’s business community really is,” says Benjamin Palmer, president of the UNB Business Administration Undergraduate Society. This year's conference, entitled It Starts Here, marks the beginning of the planning season for the upcoming academic year – a time when many business society presidents will begin writing their annual strategic plans. Over the conference’s three days, participants will take part in educational sessions led by business professionals and UNB faculty. Topics include maintaining team and personal motivation, mental health best practices, low-cost branding and marketing, managing large teams, an introduction to data-visualization and reporting, cultivating positive relationships and conflict management, and leadership training. “Most of the students participating in the conference have never been to UNB or to New Brunswick - we're really excited to bring them here and show them what UNB is all about and the business potential that is in this province,” says Mr. Palmer. To give participants a first-hand experience of Fredericton’s bright entrepreneurial spirit, social events will be held at Picaroons Roundhouse and Planet Hatch. “I am proud of the students from the Business Administration Undergraduate Society for putting together a successful proposal to bring a conference of this calibre to our campus,” says Dr. Devishas Mitra, dean of UNB’s faculty of business administration.